Let Dublin Village Jewelers be your first thought when you need any kind of jewelry repair. No appointment is necessary. Simply stop by our store and our experienced master goldsmith will examine your jewelry and provide you with an estimate for repair. We are often able to provide same day repairs and we always return your jewelry with a complimentary cleaning to make it sparkle. Have you ever dreamed of a special piece of jewelry, a unique “one of a kind” piece that reflects your personality or the personality of a loved one? At Dublin Village Jewelers, we will help you make your dreams become a reality. 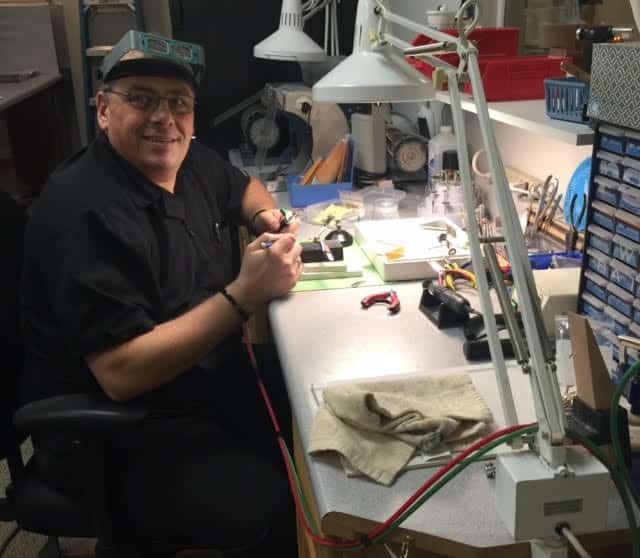 Whether you start with an original idea or you choose to “redesign” an existing piece of jewelry, Dublin Village Jewelers will help you create your ideal custom piece of jewelry to express your “one of a kind” uniqueness. We offer appraisals for all kinds of jewelry, diamonds, gemstones and watches. If you haven’t had an appraisal on your jewelry in the past five years, we recommend you have an appraisal by our experienced jewelry appraiser and then have it documented in detail. Most appraisals are done for the purpose of obtaining insurance coverage in the case of loss, damage, or theft. We buy gold, silver, diamonds and pre-owned luxury watches. We buy gold jewelry of any karat and we’ll even buy broken or damaged pieces and single earrings! We work in metals like platinum, palladium, gold, and silver. Whether you need a new clasp on a bracelet, brand new band for your watch, a ring sizing, a diamond or a gemstone set, we are happy to help you!